Do I Buy, Sell or Hold in 2019? 1. What’s my home worth? 2. Where’s the real estate market going? 3. 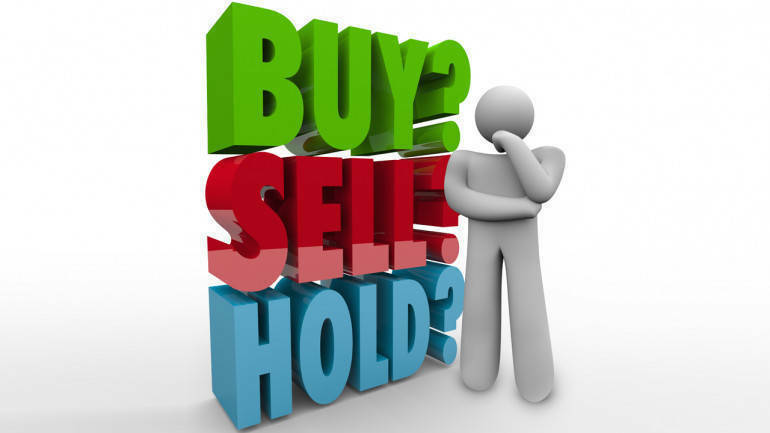 When’s the best time to buy or sell? Various factors affect property pricing. One of the more recent factors affecting buyer’s ability to qualify has been the mortgage stress test. The actual test itself requires that all mortgage applicants (regardless of size of down payment) be able to prove that they can make their mortgage payments at their qualifying interest rate plus two percentage points or the Bank of Canada’s five-year benchmark rate, whichever of the two is greater. At the time of publishing, the Bank of Canada’s five-year benchmark rate sits at 5.34 per cent. If, for instance, you were to take out a mortgage at 3.64 per cent, you would have to be able to prove that you can handle a mortgage at 5.64 per cent (your rate of 3.64 per cent + 2 per cent), since this amount is greater than the benchmark rate. In this case if you purchased a $450,000 property with 10% down, you would have to prove that you can afford a mortgage payment of $2583/mos. (stress test rate at 5.64%) even though your payment is only $2116/mos. (actual rate at 3.64%). As you can imagine, this has made a significant impact on buyer’s ability to qualify for mortgage. In addition, mortgage rates increased 3 times in 2018, also affecting buyer’s ability to qualify. The best five-year fixed rates you’ll see today range between 3.54% – 3.89%. In our recent article titled, 2018: Real Estate Market Review, we shared that Leduc saw a 2.83% decrease in residential detached housing prices with an average sale price of $367,380. The Edmonton Journal posted an article on January 9, 2019 predicting single family prices in Edmonton to remain relatively stable. Their prediction is to see a minimal decrease, estimated at approximate 1.2% in 2019. In our community of Leduc, we too can anticipate pricing to be stable, yet also see a slight decrease in pricing. If you’re one who has a fair amount of equity in your home, this likely won’t affect you much. However, if you’re someone who bought within the past 3-5 years, with a 5-10% down payment, this will affect you a little more. When’s the best time to buy or sell? This question is so vague, the answer is ‘it depends’. Every situation, both personal and financial is unique from one to the next. If you’re in a home priced between 250K – 350K and plan to upgrade to a property priced 400K and up, it’s likely a good time to sell your lower priced home and buy a new one. This is true if you have equity in your home and if you are not facing significant mortgage penalties. If you’re in a home priced above 450K and you want to downsize you will experience a tougher sell. This is especially true if you’ve been in your property for only a few years. With moving costs, real estate fees, mortgage penalties and legal fees you might find the cost of moving to be too much to be worth it. If you have the ability to hang onto your property, this may be a better option for you. When the market took a turn for the worst back in 2008, my wife and I were in a home priced over 450K. Even though we risked losing a lot of money by selling, it was still the right decision for us. Looking back, it was possibly even one of the best decisions we ever made. This again goes to show that each situation is unique. If you’re not sure if it’s the right time to BUY, SELL or HOLD, call or text Jason at 780-919-0004. It would be our honour to sit down with you and get a better idea of your housing and financial goals. We can give you an honest assessment and help you determine if it’s best for you to buy, sell, or hold onto your home.